Let’s look at the four-hour chart. Tenkan-sen line has crossed Kijun-sen from below under the cloud, forming Golden Cross reversal pattern. Chinkou Span is approaching the price chart from below, Senkou Span A and Senkou Span B lines are moving towards each other prior to the cloud reversal. Under the pressure of the Cross the price has risen above Tenkan-sen and Kijun-sen lines, but the upward impetus hasn’t been enough to reach the cloud. 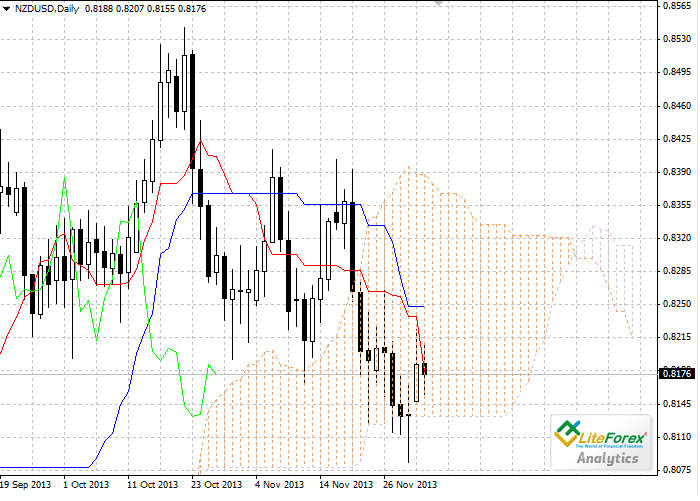 Tenkan-sen (0.8184) and Kijun-sen (0.8154) lines have become resistance and support levels respectively. On the daily chart Tenkan-sen line is also Kijun-sen, the red line is directed steeply down, although the blue one remains horizontal. 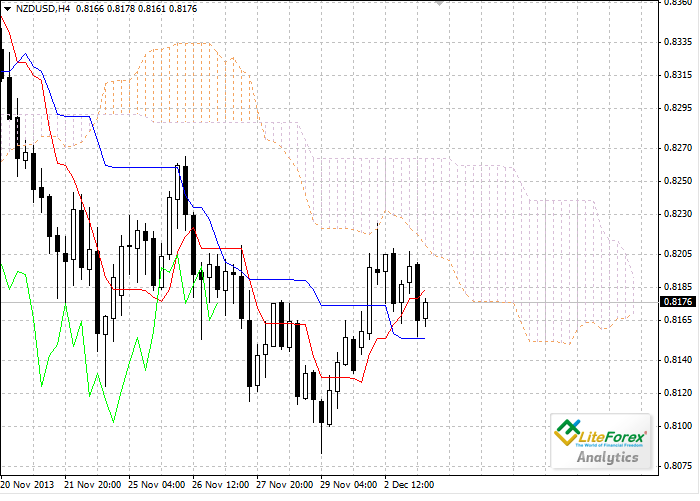 The pair couldn’t break down the flat Kumo bottom, which is a strong support level (0.8123). Chinkou Span line is below the price chart from above; current cloud is descending. The closest resistance level is Kijun-sen line at 0.8249. On the four-hour chart we can see first signal of the trend reversal, although the upward impetus isn’t strong enough. Long positions can be opened after the cross of the price chart and Chinkou Span line. On the daily chart the price has entered the cloud and is probably going to trade within it until the end of the week. It is not advised to open long-term positions at current price, however pending sell orders can be placed under 0.8123.